everything was great!!!! beautiful place!! best service, great view, wonderful water, nice pool, dreamland...... the room above te breakfast area is unbelievable beautiful!!! Es ist eine wunderschöne Anlage mit einem schönen Garten. Die Zimmer sind gross und schön eingerichtet. Mann kann super entspannen und die Ruhe geniessen. Am Strand hat es keine anderen Touristen und mann kann den Fischern zuschauen. Die Lage ist Perfekt! Mit dem Fahrrad ist man schnell im Dorf oder bei einem der unzähligen Tempel. Auch der Nationalpark ist sehr nah und einen Ausflug wert. Wir haben die Woche sehr genossen. Villa ist einfach super. Direkt am Meer mit wunderbarem Pool. Die Mitarbeiter sind superfreundlich. Frühstück ist in Ordung. Abendessen passt super. La proximité de la plage, la piscine, la disponibilité du staff.personnel accueillant et souriant. Giardino stupendo sia per le piante ed i fiori che lo caratterizzano, sia per la posizione con la bellissima piscina che si affaccia sul mare. Ottima cuoca e cibo eccellente in termini di qualità e di rapporto costo / beneficio. Possibilità di fruire di vari servizi (massaggi, trasporto, escursioni). 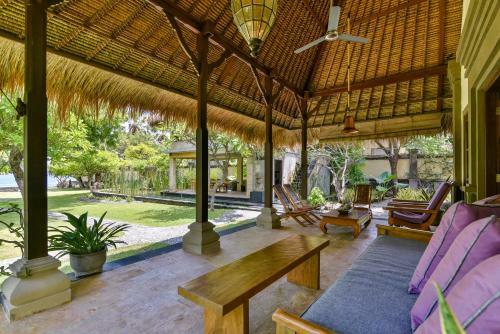 Villa costruita in stile balinese, con camere ampie e spazi adeguati. Personale cortese ed all'altezza. Da provare! Lock in a great price for Villa Semadhi - rated 8.8 by recent guests. Featuring sweeping Bali sea and mountains views, Villa Semadhi is located in Pemuteran. Free WiFi access is available throughout. 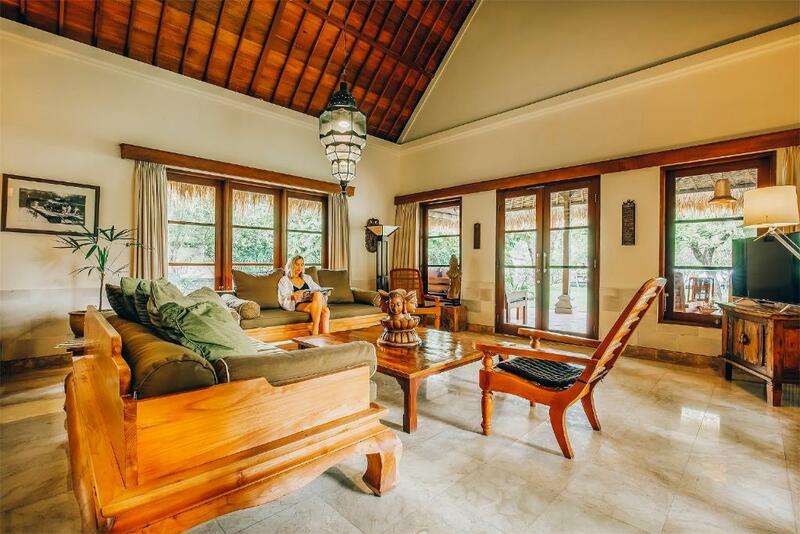 The beachfront villa is air-conditioned and offers a living room with TV and DVD player, a fully equipped kitchen and a terrace. The private bathroom comes with a bath or shower, hairdryer and free toiletries. Guests can take a dip in the private outdoor pool. Mountain and sea views can be enjoyed from the rooms. The in-house chef can prepare meals for guests upon request. The friendly staff at Villa Semadhi can assist with vehicle rentals, shuttle service and airport transfer at additional charges. Snorkeling trip and cycling activities can be arranged for a fee. 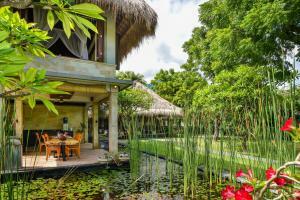 Other facilities offered include daily housekeeping, laundry and in-villa massage. Parking is free. 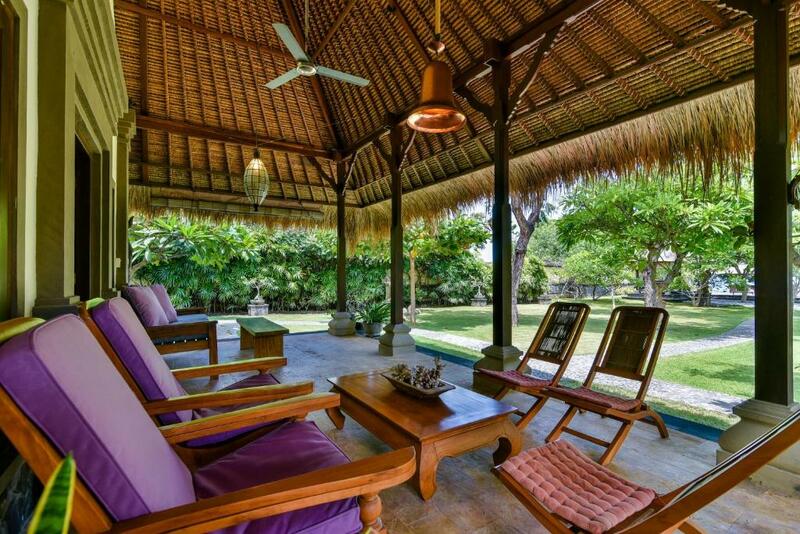 The villa is a 20-minute drive from West Bali National Park, a 30-minute drive from Gilimanuk Harbour and a 45-minute drive from Lovina. Denpasar Bali International Airport is a 3.5-hour drive away. 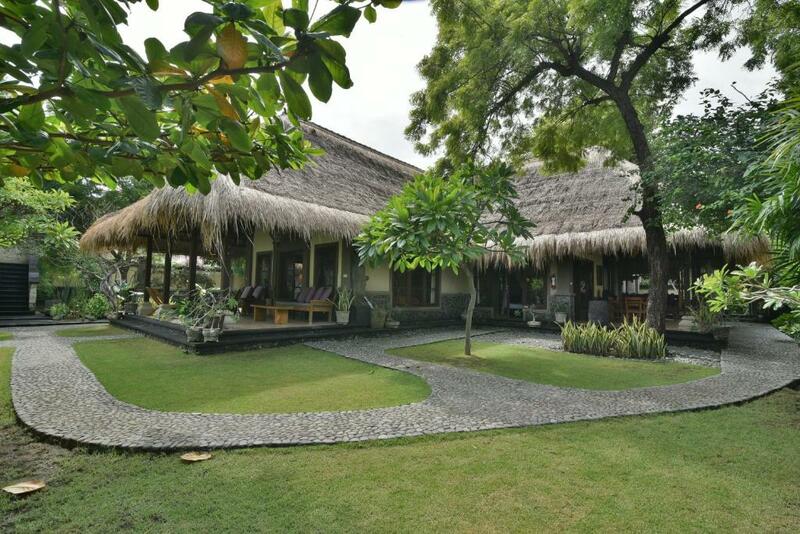 Villa Semadhi has been welcoming Booking.com guests since 3 Apr 2015. 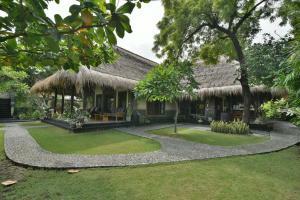 When would you like to stay at Villa Semadhi? Suitable for up to 8 guests, this villa features a living room, fully equipped kitchen and seating area. Private bathroom comes with bath or shower, hairdryer and free toiletries. 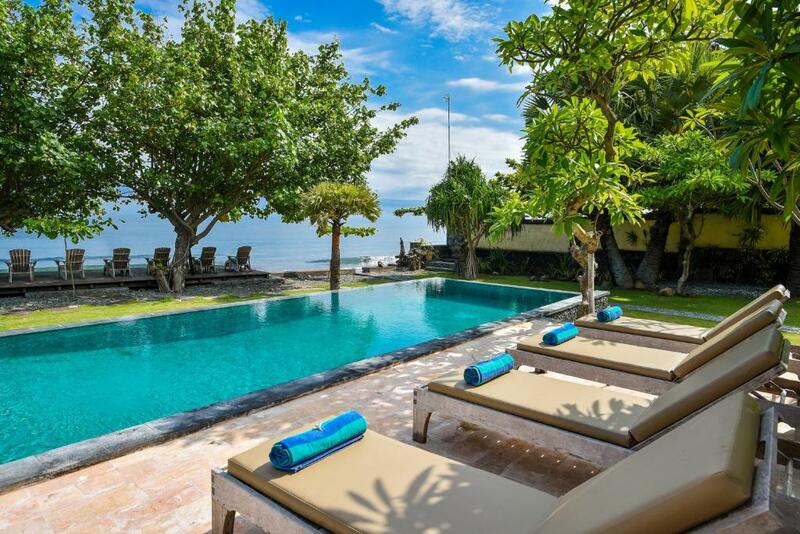 In Pemuteran you can rent one of the most beautiful beachfront villas in North Bali.Villa Semadhi offers luxurious accommodation for 2-11 guests. 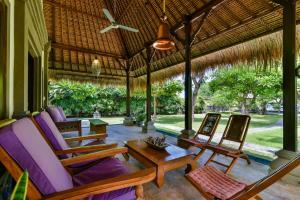 The Villa is situated in a large secluded garden . You will have magnificent views with the Bali sea in front and nine mountains as dramatic backdrop. Our friendly staff will take care of all your needs. My husband and me were both born in The Hague in the Netherlands and love travelling. In 1991 we started a trip around the world and fell in love with Bali. We returned several times but after having children mainly had Europe as holiday destination. When we went back to Bali with the family in 2008 we found the perfect place to build our future home in paradise. The scenery around the bay is magnificent and for snorkeling and diving it is probably the best spot in Bali. The people are special and the community is very much involved in protecting the area. It is a privilege to be there. A friend that stayed with us mentioned that the villa is a destination by itself. He felt so relaxed and just liked being there, enjoying the scenery and listening to the waves. 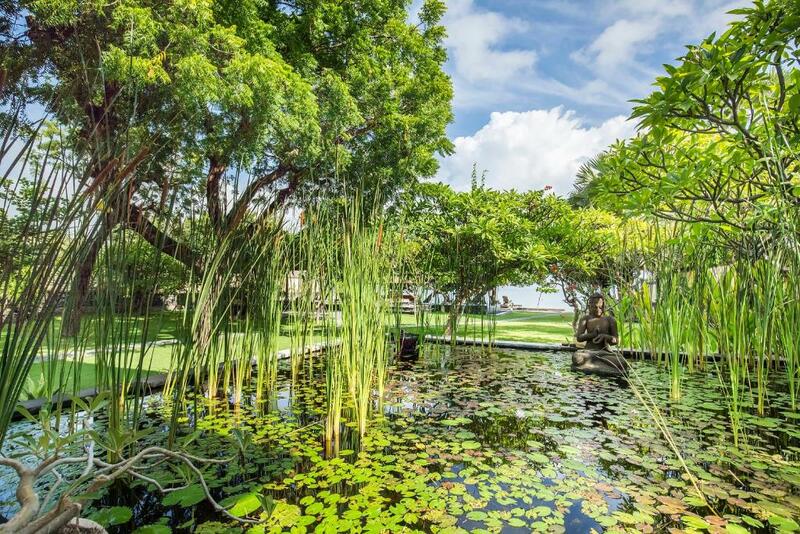 The garden is very large compared to most villas in Bali, giving it a sense of space. The style is traditional and there are many large trees, giving the impression that the house belongs there. Add to the experience a friendly staff that takes care of all your needs and a private boat to explore the area, go fishing and watch the sunset. We also have 8 mountain bikes and two kayaks free to use. One of our staff members can take you on a tour to visit the area. 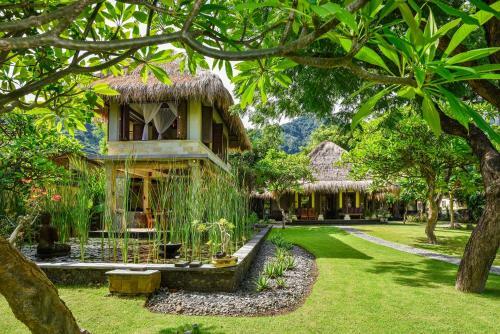 Take a bike ride to the 3 temples, Kerta Kawat, Melanting and Belantung ( Jungle temple), not far from the villa, and nestled in a beautiful oasis. Our manager takes care of you and he can arrange massage and different kind of trips for you, for instance to Menjangan snorkel and dive paradise. We have a very good cook Jero who can take care of your lunch and dinner, top quality and rates are lower then most restaurants. WiFi is available in some hotel rooms and charges are applicable. House rules Villa Semadhi takes special requests - add in the next step! All children under 12 years are charged IDR 140000 per night for extra beds. All further older children or adults are charged IDR 140000 per night for extra beds. Villa Semadhi accepts these cards and reserves the right to temporarily hold an amount prior to arrival.